Supporting parents of newly arrived EAL pupils is crucial to the integration process. Many parents of EAL pupils do not speak proficient English themselves and could benefit from a little bit of help. Down the line, their children will benefit from the efforts that were made. Perhaps your school has the means to provide ESOL classes for parents of EAL learners? While families should be encouraged to use their home language together, it is also important for EAL pupils to be able to practise their English. Homework becomes much simpler if some of their family members can understand the work set. Ideally, EAL parents can be given the same resources as their children so that they can learn English together as a family. For EAL children to feel more included, schools can organise meetings between school staff, teachers and parents. Parents can then find out about their children’s environment and get specific feedback from teachers and staff. This can help parents to support their children’s learning at home. Having a member of staff help EAL parents receive certain benefits and help with housing can be a great support method. This removes a bit of stress on the parents’ end, establishes better relationships in the community and allows them to focus more on their children. It is important for EAL parents to understand the UK education system so that they can support their children during their education. It’s helpful to explain that attendance and behaviour are very important in British schooling. Try to integrate EAL parents into the school community! Many of them will be more than happy to participate in trips, events and workshops. This allows them to build connections and will make their children feel more integrated too. Making sure the parents of EAL learners feel integrated is extremely important. 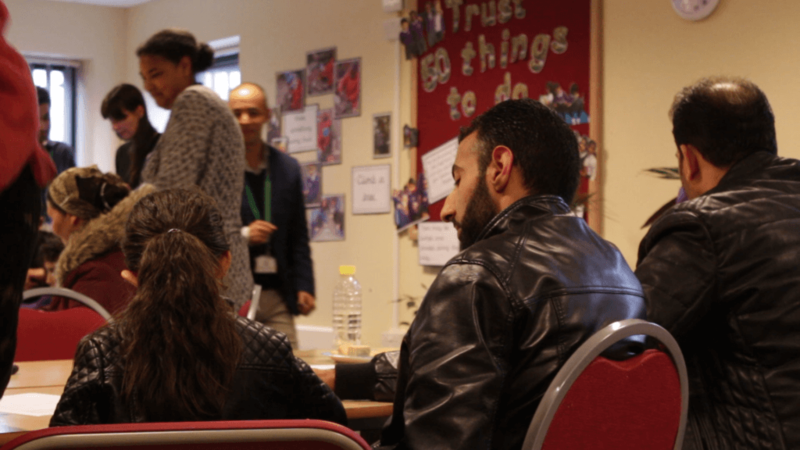 This can be achieved by providing ESOL classes, organising induction meetings with teachers and staff, giving them some family support, organising workshops and integrating them into the school community. Interested in all things EAL? Check out our top 5 tip to help EAL learners progress in their reading comprehension! Are you looking for free EAL resources for your school? Why not visit our resources page?